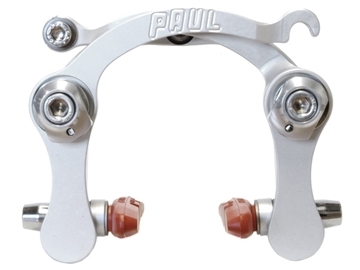 The Touring Canti is a powerful cantilever brake with a similar design to the Neo-Retro, but with the arms angled upward. 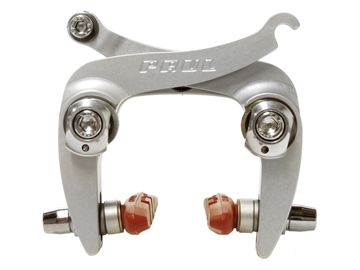 This gives the brake a much narrower profile without significantly reducing stopping power. 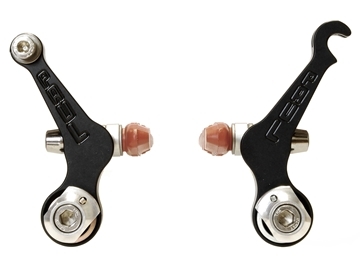 The narrower profile of the Touring Canti can be desirable if you're riding with large panniers or if your current brakes don't give you enough heel or calf clearance. 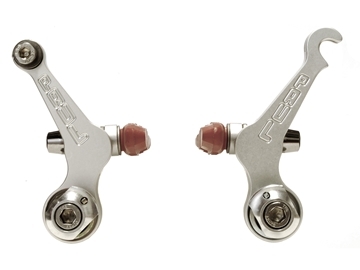 The arms of the Touring Canti are machined from lightweight 6061 aluminum. 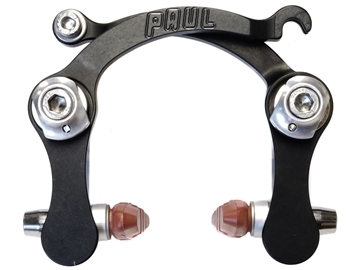 Their T-shaped cross section prevents the brake from flexing too much under load. 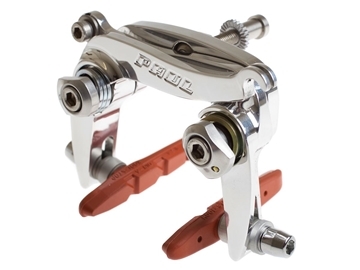 Like all of Paul Components brakes, the Touring Canti has a sealed pivot mechanism. 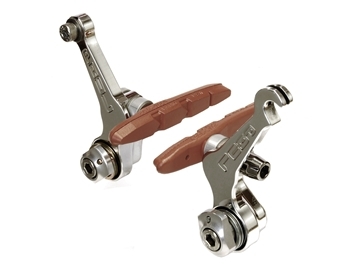 Rubber seals and a stainless steel bushing keep the brake arms turning smoothly no matter what you're riding through. 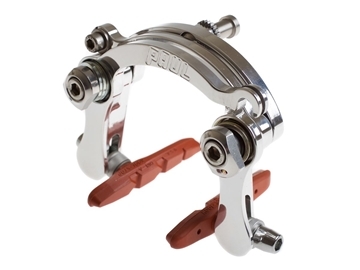 The spring tension can be adjusted in both pivots to center the brake and to adjust the strength of the return swing. 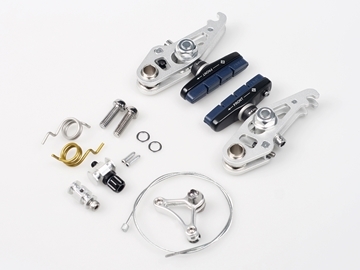 New canti brakes from VIA, very elegant, strong but also light and efficient. 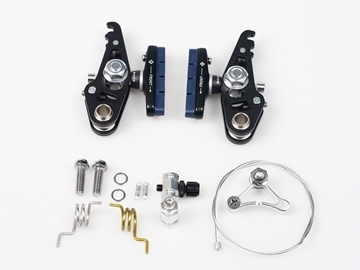 Adjustable spring tension, and Ashima brake pads make this set of brakes a must have part for your bike.